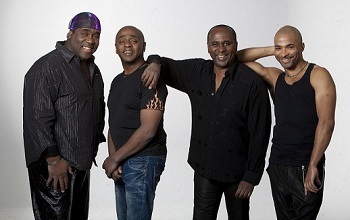 Born in Martinique, these three talented brothers, Chris, Patrick, and Alex Gibson, began performing together in 1976. Their sound has been called disco-salsa by some, simply hot by others. The single, ”Come to America,” was recorded that first year, 1976. It landed on many European music charts, becoming a number one hit on some. In 1977, the Gibson Brothers’ tune, ”Non Stop Dance,” was a million seller. This hit single found the European charts as well. Three years later the brothers broke onto the charts worldwide, including the American Billboard Top Ten, with a little number called ”Cuba.” It sold over four million copies and earned 14 gold records. The course seemed set, and other releases like ”Ooh What a Life” and ”Que Sera Mi Vida” did as well, and even better.